Like many people who only write part time, most of my working life involves juggling. My particular balls to keep in the air are: my legal job, the children, the housework and my book writing. Only, even though every week I vow it won’t happen, more often than not it is the book writing ball that falls to the floor while I struggle to keep the other ones in the air. Why do I do this? It’s not that I don’t want to write. It’s not that I don’t value my writing. It’s just that, every time I am about to sit down and write, there is a school assembly, an extra work meeting, a karate grading, or a cake sale I have to attend and naturally, of all the juggling balls that can be moved, it’s the writing. And, once I have got out of the habit of writing it becomes easy to think, oo, I’ll just pop a wash on. Or oo that downstairs cupboard really needs cleaning out. Or, oo, I wonder what’s happening on Twitter. This used to cause me great stress. I would berate myself week after week for failing to get any writing done and the end of every week would feel like failure. But then I decided that if couldn’t change my other commitments, what I could at least change was my attitude. 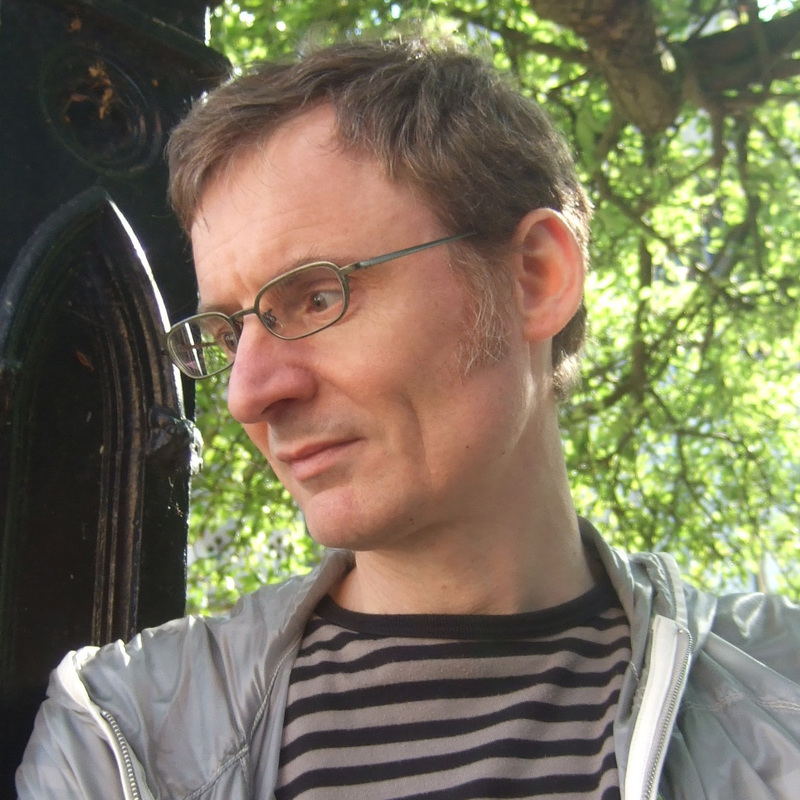 Now I still struggle to find time to sit down to write, but I have learned that an awful lot of writing time is really thinking time, particularly with picture books, where there is very little time spent sitting still at your desk writing. Picture books still take a lot of time, but the idea, the plot and character development can all be done while walking round the supermarket, doing the school run, at a café in my lunch hour, or sitting on the tube. I’ve learned that, if I just let myself relax and daydream, the book will slowly reveal itself. This was proven the other day. During a very stressful half term juggling legal work and kids, I began to despair of getting anything done. Then one night I had the most incredible dream, which I quickly wrote out on waking. Now I’ve just got to fiddle with the pace and the characterisation. I might do this while I sort out the cellar. That’s what people usually say when I mention my 21 year long career in Tokyo. Often followed by “you must love drawing big bug eyes” or some such. But in fact, perhaps surprising to some, I don’t draw manga, nor have I read much manga, although you see it everywhere in Japan. Attempting to draw like that would be very much like taking coals to Newcastle anyway, but I’d already established my illustration style before I moved to Tokyo, and illustration in Japan is an entirely distinct business from the world of comics and animation. Some children’s publishers do publish comic books and manga, but they are separate and often rival departments. 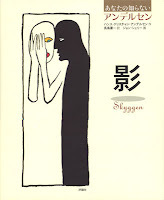 Children’s publishers in Japan are often at great pains to develop works that are the antithesis of comics. 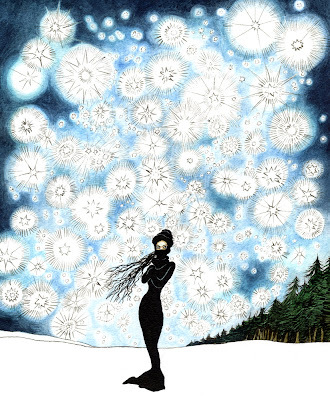 Books that might wean readers away from low-culture comics towards slightly more sophisticated sentiments - imaginative fantasies, or graphic explorations. 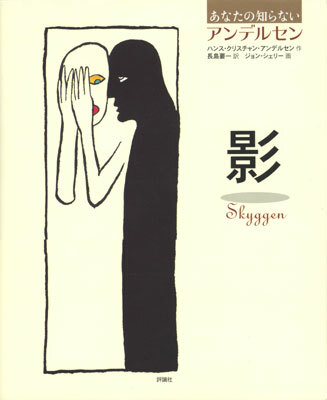 ﻿﻿Japan on the whole is a highly graphic aware society, and often delightfully escapist - images are everywhere, most children have a natural understanding of graphic imagery, whether through comics or other media. Anthropomorphised characters are used to personalise everything. Even the police departments have their own mascots. One by one these outgoing publishers were censored, retired or imprisoned during the militarised period, but saw a strong resurgence after the War. Japan’s biggest publisher Kodansha expanded into children’s books in the 1950’s. Fukuinkan Shoten developed from the embers of Kodomo no Kuni, reviving the trend for subscription children’s magazines that continue today. After being imprisoned by the military government for pacifism, the owners of Iwasaki Shoten revived the company after the war. The market for picture books is strong and varied, because it appeals to several different age-groups - on the one hand younger children who have yet to be hijacked by the lure of comics, but also a great many older picture book fans, adults who collect picture books, sometimes discovering work they missed during their comic-saturated youth. 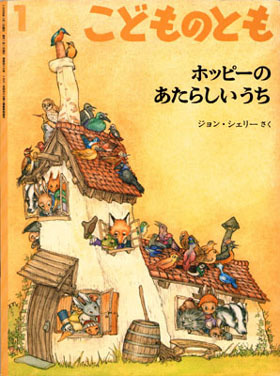 Thus the range of picture books produced in Japan is very wide, from fun stories for children, to very sophisticated works produced with adults in mind that may have comparatively little appeal to children. 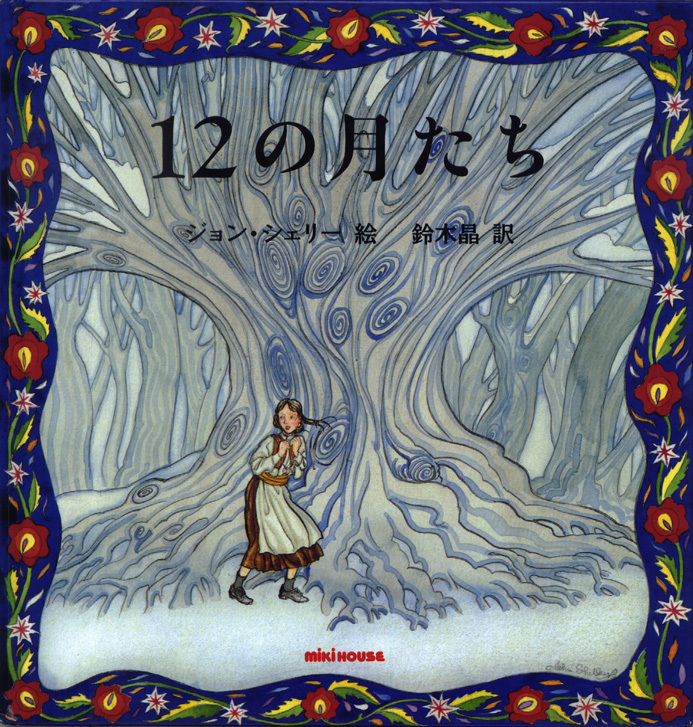 Japanese children’s books are often strong on fantasy, some inhabit a fairy-tale escapism described as meruhen, from the German word ‘marchen’. 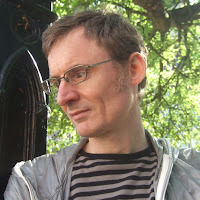 Western editors are sometimes at a loss to understand these books, as, compared to UK titles, they seem to be slower-paced, ‘quiet’, or lightweight, are less driven by plot, and more about space and atmosphere. My own experience with Japanese publishers has been enlightening and very different from the West. I found I could be experimental in advertising and other commercial work, but for children’s books I was encouraged to draw extremely ‘English’, to be a graphic ambassador of my own culture. In a market that copies Western styles I could provide authentic European illustration by an authentic hand, but in a way that is conducive with Japanese tastes. ﻿﻿﻿﻿﻿﻿﻿﻿As mentioned, a lot of mid-range Japanese publishers are family businesses with long heritages. Unlike the West, staff on the whole do not switch companies, however they’re often rotated around their company, which can be very confusing. Last year’s editor is now working in the publicity department etc. The new picture book editor may have just been re-assigned from the magazine section. Some publishers (notably Fukuinkan) launch picture books in paperback first as part of a subscription-based magazine series, then later select the most popular titles for trade hardcover editions. ﻿﻿﻿﻿﻿﻿﻿﻿﻿﻿On the down side I personally find Japanese editors often commission me with an agenda - they have very clear ideas what they want their book to look like, and thus can be quite demanding to the point of stifling. Patience is a necessity. Some editors like to take things very slowly at planning stage, but then ask for unrealistically short final artwork deadlines. How do I cope with the language you might wonder? Well, my spoken ability is fairly developed now (though it wasn’t always the case!). I don’t read and write Japanese as well though, so in the case of novels I look for the English edition! My own stories I write in English with an eye to how it will sound in Japanese, then roughly translate it. The editor (who speaks no English) gets both versions - my Japanese version for a rough idea of the text, and the finished English which is sent off to their translator for a corrected Japanese version. 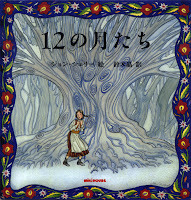 I have illustrated some picture books and early readers entirely in Japanese though. Print-runs are generally conservative, as traditionally Japanese bookshops tend to buy books outright from publishers, so only take what they think they can definitely sell (I’m told this is changing now). But there are a lot of bookshops in Japan, the book trade is brisk and self-sustaining. For further insights into Japanese children’s publishing I highly recommend downloading some of the newsletters of Tokyo SCBWI. Of the top fifty most borrowed authors for both adults and children, I reckon that eleven of them are primarily picture book authors. Our wonderful children's Laureate and creator of the classic and much-loved Gruffalo, Julia Donaldson, comes at no surprise as number 7 on the list, but to find Eric Hill (number 28) of Spot the Dog fame so far ahead of Stephen King (100), Jeffrey Archer (101), J K Rowling (102) or Stephanie Meyer (121) surely gladens the picture book enthusiast's heart! Why do picture books get borrowed so much? Because, I think, they are sometimes seen as 'not many words for all that money', and perceived as the kind of books that children will grow out of. Parents and children may be unsure which will be those books which will absolutely hit the spot with an individual child; which will be those magical ones which get asked for again and again and again. Ideal, then, to borrow lots of books for free, and then perhaps buy the ones which prove themselves to be those key childhood books which should stay with us, both internally and externally, forever. The very best thing about borrowing picture books from libraries is that it puts the power of choice into the hands of very young children. There is no cost to borrowing generous numbers of books which will only have to be housed temporarily, so parents let their children borrow books freely, letting them choose books which those adults might not be inclined to buy ... because "That one is too old/too young for you", "There's nothing to that one, so it's not worth the money", or (I saw this a lot when I worked in a children's bookshop) even, "You've already got that one at home!" 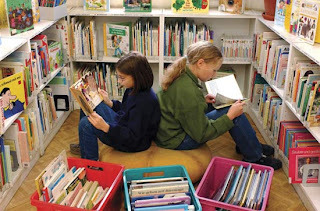 Libraries give children the freedom to learn how to choose, practising that vital art of selection on collections of thousands of pounds worth of wonderful books. And if they make 'mistakes', those mistakes don't matter. Lucky children! Isn't it all rather wonderful?! Julia Donaldson is going to guest blog on this site next month, but I'm proud to say that two of us regular Picture Book Den bloggers also appear along with Julia in that top 400 list. Malachy Doyle and I both make it to positions in the three hundreds, rather pleasingly above such names as Philip Pullman, Jane Austen, Rev Awdry, Jamie Oliver and Katy Price (now there's an interesting party to be had!). High five, Malachy! ‘Where do you get your ideas from?’ they always ask. I point to my skull. I always said I’d never have a dog. But then one day, nearly a year ago, a wet bedraggled collie pup came to the back door. ‘I’m lost and I’m hungry,’ she said. 'Can I live with you? I couldn’t concentrate on the story I was writing. She was outside, waiting. Outside, whining. ‘I’m still lost,’ she said, when I couldn't bear it any longer. ‘Still wet,’ she said. I found a piece of bailing twine and took her round the island. No one had ever seen her before. I now have a dog. She’s called Juno. She’s gone from being a wet bedraggled wobbly little collie to my favourite ever pet. We walk the beaches every day. 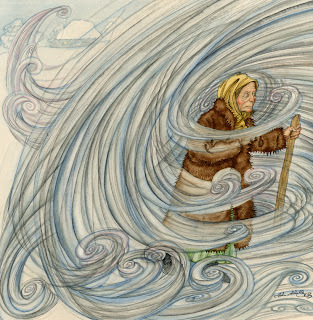 She chases the waves, barking like a mad thing. I think she thinks they’re sheep, but watching her do it never fails to make me smile, no matter how bad the writing’s going. She’s a wet bedraggled happy young collie. The house is full of sand. I got myself a dog I love. I got myself a picture book out of her too, like you do, and by happy coincidence, it’s officially published on Valentine’s Day - today! In Welsh, as Sigl-di-gwt (which means Shake-your-Tail). In English, as Collywobble. With illustrations by the wonderful Petra Brown, who keeps getting better and better. 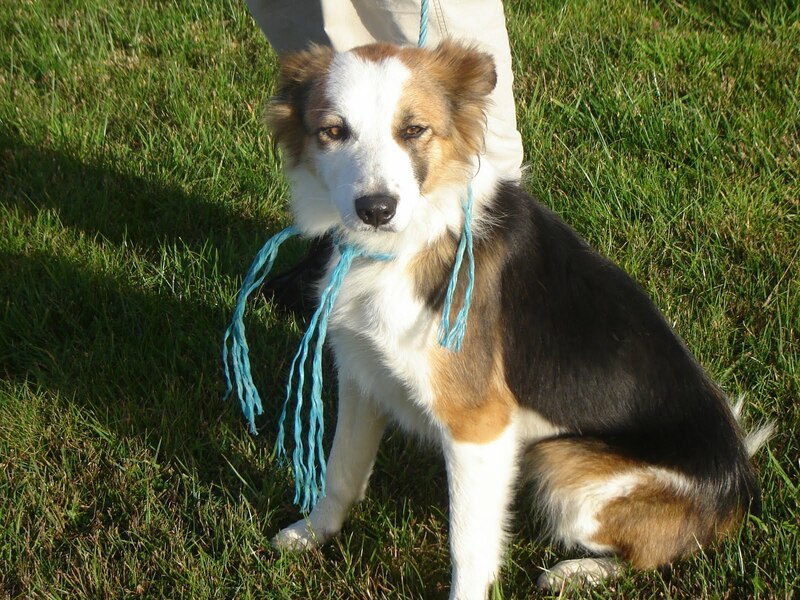 And who chose to draw a tricolour collie, without knowing a single thing about Juno. It's about the sweetest little sheepdog you ever did see. He lives on a farm, in the Welsh highlands (where I used to live before decamping to my Donegal island), and when the first snows of winter come, his courage is tested big time. But we all know where he's really come from - imagination and experience. And we all know who he really is - my Juno. Writers flounder if they can’t find the right names for their characters. Even with picture books, the story doesn’t come alive in our imagination. Mary Hoffman says, “I simply can't write a character till I know their name. And if I get the name wrong, the character won't come right till I change it. Right from the start I instinctively know the names of some characters. 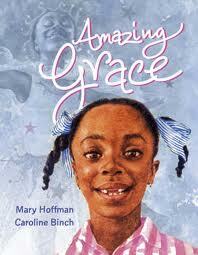 This happened with Grace of Amazing Grace." With my stories, I rarely use the names of somebody I know. Instead, names leap out at me from the pages of a book of baby names that sits on a shelf above my desk. In No More Biscuits (followed by No More Yawning), my characters Florence and Arnold began life with the names Becky and Squiffy Duck. Then they became Becky and Floppy Rabbit. Then Florence and Rabbity. And finally Florence and Arnold. Why did I keep changing the names? As the story developed over many months, the characters altered. 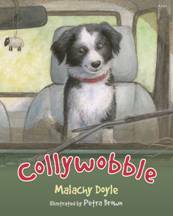 Cute, eager-to-please Becky became strong-willed, independent, imaginative Florence. 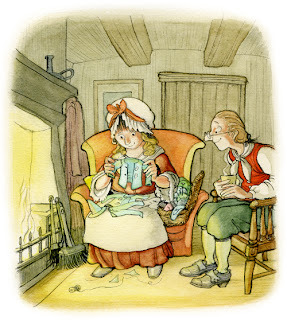 The old Becky liked to drag Rabbity around by his ear. The new Florence understood that a stuffed rabbit hated having his ear pulled. Then the toy became a monkey and as Arnold is totally real to Florence, he had to have a real name, not a silly toy name. Sometimes publishers want to change the names we’ve given our characters. In Best Friends or Not?, the two little polar bears were originally named Lucy and Eva. I can understand why the publisher wanted to use more general, Arctic names, but it took a bit of getting used to! They suggested Nanook, and I came up with Suka (a popular name for Arctic husky dogs), and Nanook and Suka were born. 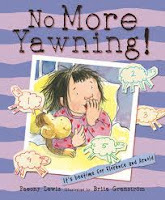 The same publisher helped Moira Munro with one of her characters in the Hamish series. “In a surge of writing confidence, I was inspired to name the big bear ‘Whizziguff’ in my story. Now that is original! The publishers kindly suggested we call him ‘Big Bear'." Big Bear? Are you thinking that’s a bit generic? I’ve been thinking about this and I feel that in some instances general names like Big Bear, Little Duck, Elephant and Mouse are the best choice. I’m not sure I can say precisely why – it just feels right. Can others cast light on this? Maybe it’s linked to traditional oral storytelling where a character is more easily introduced,visualised and remembered if they’re just called the princess, stepmother, witch, little pig, etc. But that doesn’t explain why we often use names like Big Bear and Little Duck in printed books. Perhaps we want a more general emotional response to the character, rather than individualism? Of course, it doesn’t really matter how a character is named, as long as it’s the right name. Having said that, sometimes a name is changed in an overseas edition of a British book. 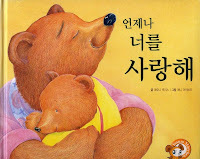 In a South Korean edition of my I’ll Always Love You, the bear Alex becomes Bobo. That’s fine by me as I think Bobo is a cute name and less ‘Western’ than Alex. Anyway, we seldom have a clue what has been done to the text because few British children’s authors can read languages such as Korean, Chinese or Arabic! I wonder if anyone knows the most popular names in picture books published outside the UK? It would be interesting to discover more about this. Plus I’m always intrigued to hear how other writers decide on the names of their fictional characters. Do tell! Recently I visited the fabulous Pitt Rivers Museum in Oxford, a frankly bonkers collection of artefacts brought back from all over the globe. Row after row of wooden cabinets stretched around the rooms behind, stuffed with gloriously unpredictable objects. At the front sat the original Dodo skeleton that inspired Lewis Carroll to write Alice in Wonderland. A ritual Pacific island statue lurked in a far corner, looking exactly like one of the monsters in Maurice Sendak’s Where the Wild Things Are. Other personal favourites included a delicate cloak made from seal intestines and a war helmet made from a porcupine fish. Already primed by the Dodo and the wild thing to think of childhood, I saw a display of shrunken heads and was instantly pitched back to my parents’ home. As a child I had obsessions with particular illustrations in my small store of books. I secretly studied certain images again and again, while my imagination went on unpredictable journeys. For reasons unknown, my parents owned a book about the headhunters of New Guinea, and I used to stare long and hard at the macabre sepia photos of posing tribesmen. E. H. Shephard’s illustrations for A.A. Milne poems provided me with a couple of other favourite pictures, including bears skulking on the pavement, ready to eat children who stepped on the cracks. 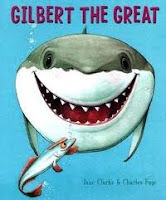 In my Beatrix Potter books it wasn’t the rabbit in clothes that fascinated me, but a terrifying giant fish on its way up from the depths to eat Mr Jeremy Fisher. All my favourite images had a touch of oddness and the unexplained, and often an implied threat. I’ve been asking around to find out if other adults can remember having an obsessive interest in specific images as young children. It makes for a good conversation. Some people name something straight away. Others have come back to me a little later with a sudden memory. A number of those I asked remembered odd, mysterious or slightly threatening pictures. Not everyone - but enough for me to think I’m not alone. It turns out I wasn’t a uniquely greedy, ghoulish and cruel child…Phew! 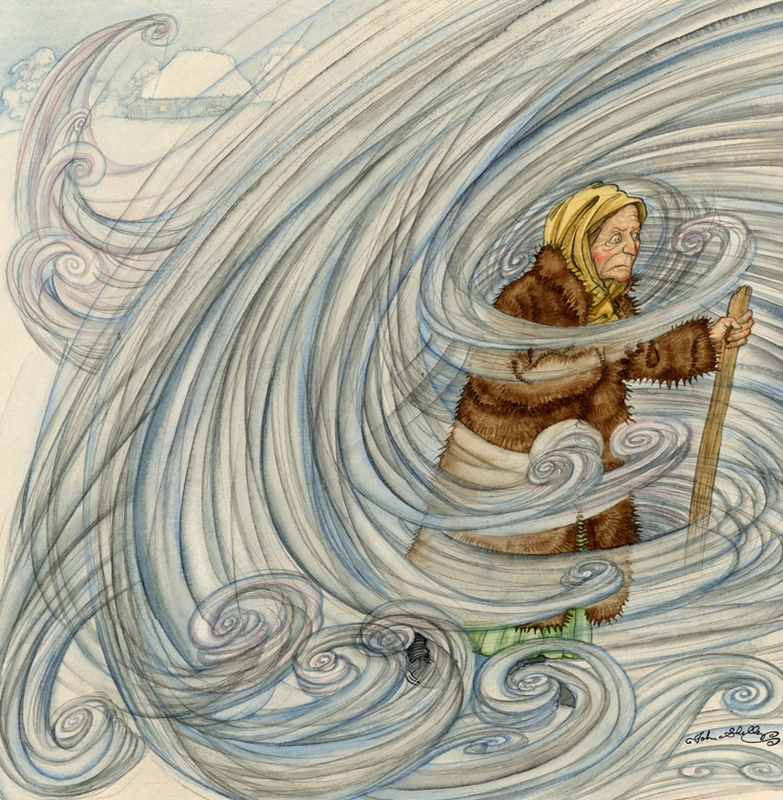 We have been lucky enough to have grown up with a richly inventive and unfettered picture book illustration tradition, fostered by the higgledy-piggledy museum collections and strange imaginings of previous centuries. Illustrators were not afraid to embrace the surreal, the odd and sometimes the scary - not to prove a point or ram home an issue, but simply for the glorious sake of it, expecting children to react as the illustrators did, with interest. Surreal unpredictable elements have generally disappeared from mainstream picture books in the last few years, rendered safe and predictable by the demands of the international market. There are, of course, exceptions, but most picture books are, in the main, all soothing reassurance. We don’t want to give children nightmares about giant fish biting anyone’s feet off, do we? No child would react well to that kind of psychologically disturbing image…right? I, for one, hope that children still get the chance, somehow, somewhere, to be secretly fascinated and sometimes deliciously scared by images of strangeness. I’d recommend your local museum.